Because the deal at Channel 9 is that you have to extricate your own winnings. With wire cutters and a powerdrill. A man walks you into the building, points to what you’ve bought and leaves you to it. It’s the technological equivalent of picking your own strawberries. Which also means you get to have a stickybeak around. It’s fascinating how post-apocalyptic it looks. It’s only been a week since this was the home of Channel 9 and it already looks like Prypiat, the Russian town evacuated when the Chernobyl Nuclear Power Plant exploded back in 1986. 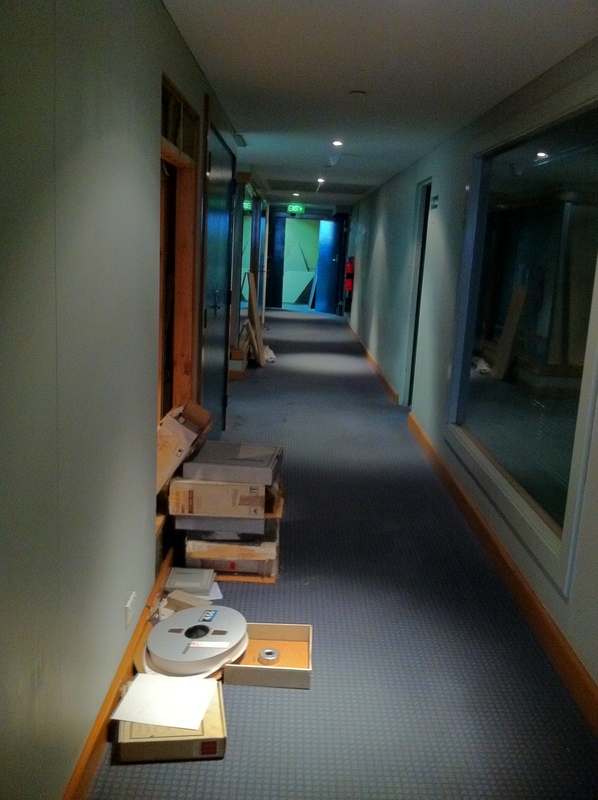 In the corridors are vast piles of tapes marked “these tapes to be destroyed”. 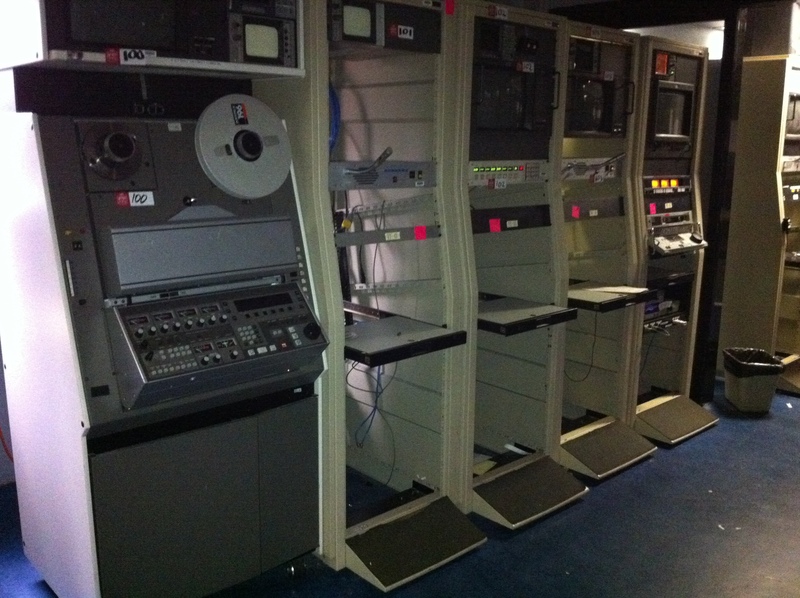 It’s a 3D history of tape stock, with everything from two inch quadruplex to VHS getting a guernsey. 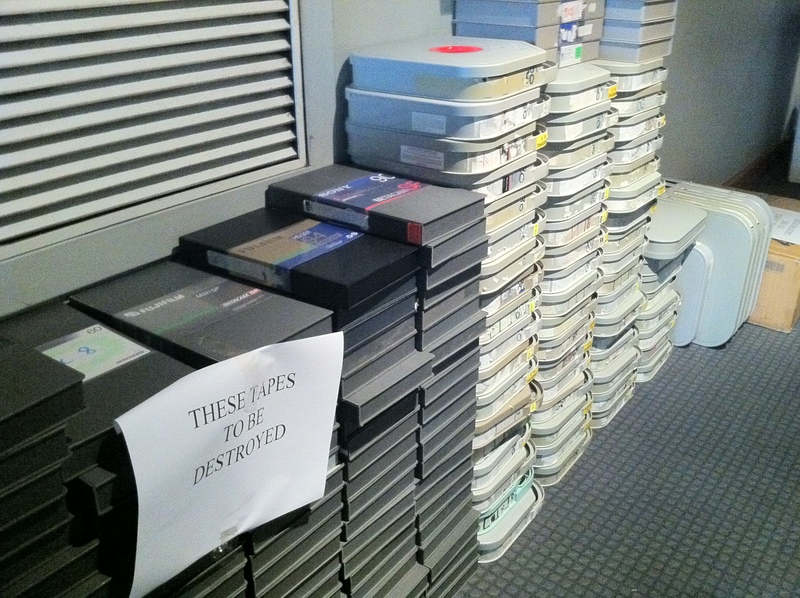 People like me look at a pile of tapes marked “for destruction” and find ourselves thinking “No! They could all be copies of The Tenth Planet episode 4 or the original cut of The Magnificent Ambersons ! Hell, even a VHS copy of Sweet And Sour would be nice”. But these appeared to be mostly episodes of Hey Hey It’s Saturday from 1983. That said, I hope Channel 9 has kept copies. Yes, I just said that Hey Hey shouldn’t be wiped from the face of the earth. Because those who do not know history are doomed to repeat it. Look! It’s Supercomputer ! 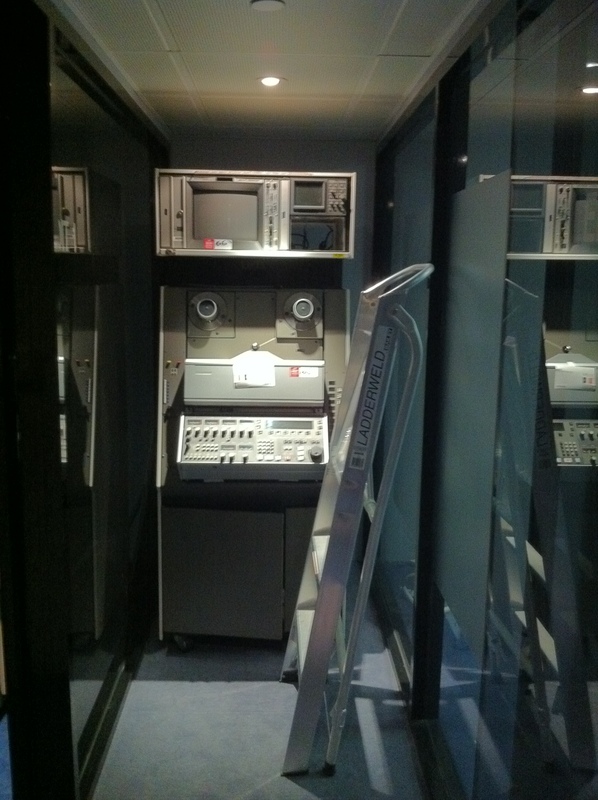 From Channel 9’s 1975 comedy Supercomputer ! There was an energy, a life force, about Nine’s Richmond studios… In the early days, when Graham Kennedy and Bert Newton were the biggest stars in the country, In Melbourne Tonight would screen five nights a week, Tommy Hanlon Jr would host It Could Be You live at midday, Take the Hint live in the afternoon, The Tarax Show for the kids and of course National Nine News. 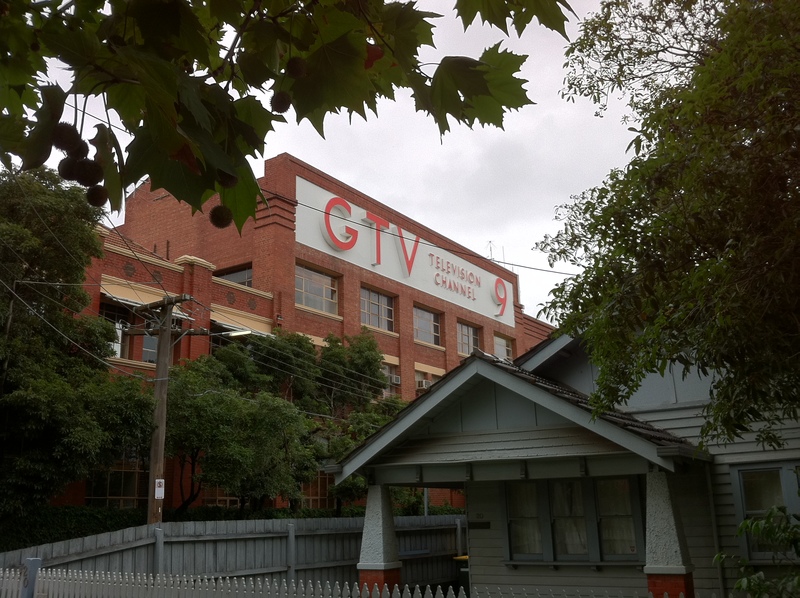 I suspect I’m too young – or too inner-city caffe-latte-swigging elitist – to have those sorts of connections to GTV9. I have no memory of The Don Lane Show, or In Melbourne Tonight, and I find the veneration of Graham Kennedy slightly baffling. I suspect that Kennedy – like Joni Mitchell or Ned’s Atomic Dustbin – was one of those things you had to experience at the time to really appreciate. (Watching the vintage footage now, I find Kennedy so broad he just seem desperate, whereas Bert Newton was – and is – a comic genius, a master of the witty ad-lib and the barbed bon mot. And he was supposed to be the straight guy!). 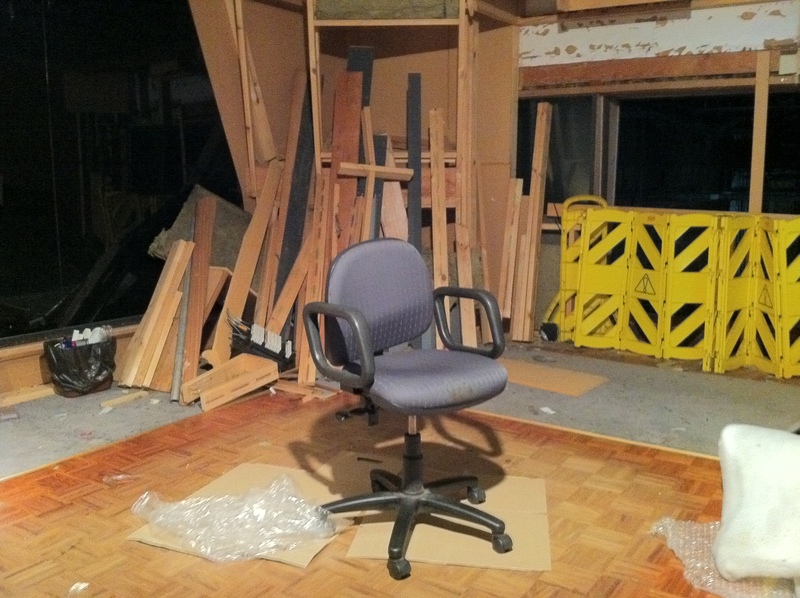 So goodbye, Bendigo Street. I won’t cry for you, but I enjoyed visiting you in your final hours. This entry was posted on Thursday, March 10th, 2011 at 10:16 pm and is filed under photography, street-life, television. You can follow any responses to this entry through the RSS 2.0 feed. You can skip to the end and leave a response. Pinging is currently not allowed. Moving Pictures is my favourite Rush album. 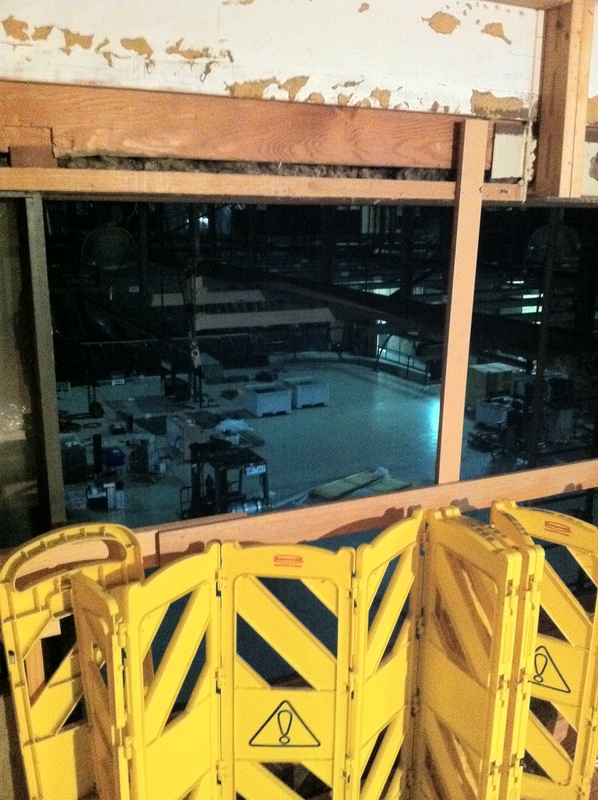 Trivia: In the TV-movie remake of On The Beach in 2001, they used the channel 9 studios as a shooting location. In the movie it was a television station in Anchorage after a nuclear holocaust. It looked somewhat like those photos you took. I’ll miss Bendigo Street – I appeared on Sale of the Century there in 90 and Temptation in 06 and saw a friend appear on Red Faces in the late 80s. It’s a nice spot.